This was a trial run for a dessert I did for Valentines day this year. I went with a two tier stack for the restaurant and it looked S#*t Hot, wish I had had time to get a pic of the finished article before they went to tables. 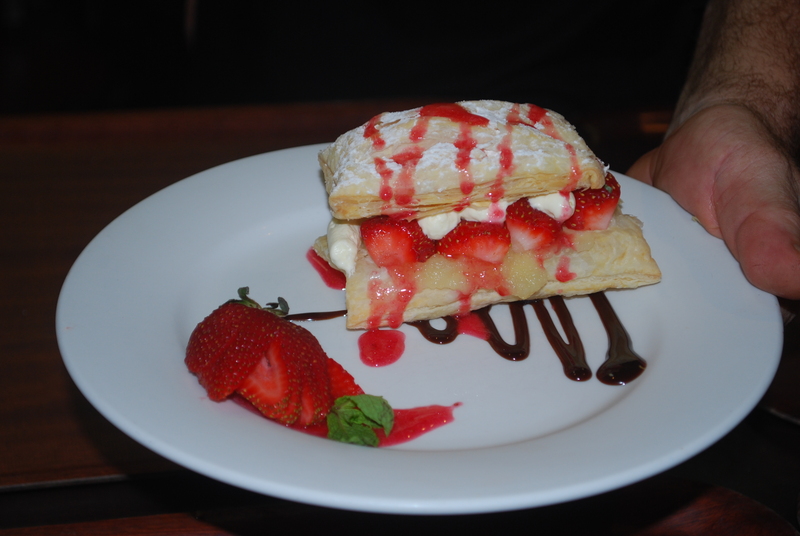 It’s Puff pastry, apple puree, strawberrys, chantilly cream, chocolate sauce and strawberry couli. Easy as to make.